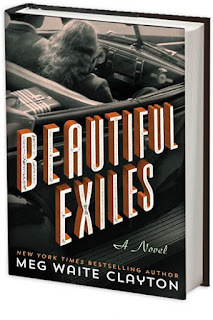 Meg Waite Clayton talks about BEAUTIFUL EXILES, Martha Gellhorne and Hemingway, how Hemingway appeared at Gellhorn's door with a cleaning bucket on his head, and why choosing titles is so damn hard. 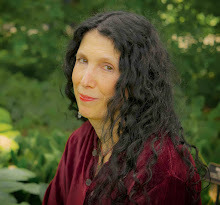 I cannot remember where I first met Meg Waite Clayton, probably because it feels as if I've always known and loved her. I do, however, distinctly remember, her speckling on freckles on me for my clown costume for The Pulpwood Queens! And of course, I devour every book she writes. 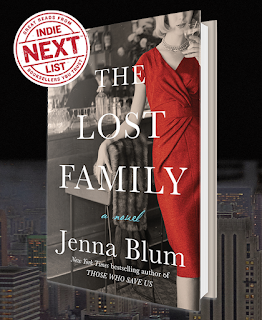 She's a book club fave, and a New York Times and USA Today bestseller. 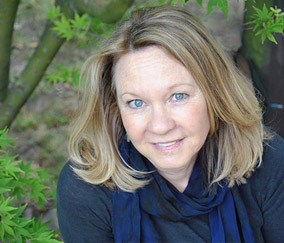 Her books (and you need to read every one) include The Race For Paris, the Wednesday Sisters, The Language of Light and now Beautiful Exiles, about the relationship between Ernest Hemingway and Martha Gellhorn. Thank for times a billion, Meg! I always want to know what about your own life was haunting you into writing about Martha Gellhorn and Hemingway? I wouldn’t say this one started with a haunting so much as an obsession. Like every other poor high school English student in this country, I slogged through The Old Man and the Sea long before I’d ever heard of The Trouble I’ve Seen or A Stricken Field. But I came to this story through Martha Gellhorn: I read about how she became one of the only journalists to go ashore in the early moments of the Normandy invasion, and I was hooked. The Reader’s Digest condensed version of that story would go something like this: Denied an official opportunity to go across with the D-Day landing ships because she was female, Marty hid in the loo of the first hospital ship to cross the channel and went ashore with a stretcher crew to cover the landing in a brilliant article for Collier’s. As reward for her bravery, she was taken into custody, stripped of her press credential, and confined to a nurses’ training camp. But Marty, being Marty, hopped the fence and hitched a ride on a plane headed to Italy, where she continued do some of the best reporting to come out of the war even without her credential or any official support. Really, how could I not want to know more about how Marty became Marty? When I heard Caroline Moorehead’s Martha Gellhorn: A Life was to be published in October of 2003, I dug around to find a prepublication copy, which has long been underlined and dog-eared and loved to bits. 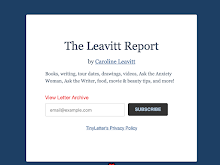 I read her books, her articles, her letters. I visited places she’d been and tried to imagine being her, tried to learn everything I could. I discovered, among other things, that that first version of the D-Day story was a bit of an exaggeration: she didn’t hop that fence—she rolled under it! I also discovered that she had been the lead correspondent for Collier’s until a man snagged the position from her—and that man was her husband, Ernest Hemingway. I’ve been mopping the sweat from this one for a long time. My hope for what began as one of those high piles of white paper is that it will introduce others to the truly extraordinary Martha Gellhorn. What about your research really surprised you? Probably that Ernest Hemingway once stripped to his long johns and knocked on Martha’s door with a cleaning bucket on his head, and brandishing a mop. I know not all authors are with me on this, but I feel if I am dealing with real people, I ought to honor their lives as they were lived. To intentionally make up stories about real people seems to me to lean on the crutch of a famous name in service of a story that ought to be able to stand on its own. And ... let’s just say I can’t imagine portraying Ernest Hemingway in long johns, cleaning bucket and mop if I didn’t have a basis in fact for it. As might be expected for a story that begins with one clandestine relationship and ends with another—and involving people as famous as Martha Gellhorn and Ernest Hemingway—the many sources I turned to in the writing of Beautiful Exiles often differed on even the simplest of things, including who was where when. I sorted through those discrepancies as best I could, with the intent of being as true to the facts as possible. It was a bit like putting a puzzle together, taking little bits and pieces and turning them this way and that to see how they fit together. I loved every minute of the research on this one—especially reading Martha’s letters, which are fabulous. There’s a line in the book where Gellhorn talks about “the love, or whatever it was we shared.” I found this incredibly moving. In a different cultural climate, where there really was more equality between the sexes, do you think their relationship would have succeeded, or was it doomed to fail? I think a lot of the challenge in Ernest Hemingway and Martha Gellhorn’s relationship came from Ernest’s need to be seen as manly and Martha’s need to be free. No doubt the times played some part in that, but only so much—as I think we continue to see even eighty years later. Clearly he struggled emotionally, as a shockingly high percentage of great writers do. I’ve come to see that while some of that is amplified by culture, much of it is brain chemical. But I do think anyone living the two-career life today, especially the two-career creative life, can learn a lot from their relationship. Even now, when women are no longer expected to abandon their dreams to support their husbands, the weight of the career-home balance tilts heavily to the female side of the scale. And where ambition is admired in men, it remains suspect in women. We need to get past that, right? I absolutely love the title—and the cover. I know that these are both marketing decisions to some extent, but can you talk about how both came to be? Thank you! I also love the cover, which I can take no credit for. There was only one thing I didn’t like about the original they sent me, which was that the woman in the car was wearing a prissy hat Marty would never wear. I was pleased as all get out when they fixed it! On the title, the working title for this book was Mookie & Bug—two of the nicknames Marty and Ernest called each other—but my agent felt that title suggested a young adult novel. Retitling a finished manuscript is, as I expect you know, a bit like renaming a fully-grown child just as she is submitting her college applications. I love the new title, but one part of me will always think of this novel as Mookie & Bug. How I came to Beautiful Exiles? Well, since I building from scratch, I brainstormed—just words that described Martha or the two of them or whatever. One of those was “travelers,” in part I suppose because of her Travels with Myself and Another. But that’s a hard word, and not particularly evocative. So I looked at “traveler” in my thesaurus found “soujourners,” which for a short moment in time seemed evocative. Heeding Hemingway’s advice about the Bible being a great source for titles, I did an online Bible search and came up with "Beloved, I urge you as sojourners and exiles to abstain from the passions of the flesh, which wage war against your soul." (1 Peter 2:11). Which made me see how stilted “soujourners” was. Marty was a bit of an exile on her own, exiled by the expectations that came with being from a prominent St. Louis family, and by her complicated relationship with her father. But the word also felt right because Marty and Ernest together are essentially exiled by his fame. When they were first falling in love, he was already famous enough that, in the U.S. anyway, they would have been hounded by photographers. How can you possibly sort out a relationship in that glare? They went to Cuba for the privacy it afforded them to sort out whether they even really wanted a relationship. So I tried to find something that would go with “exiles,” but in a surprising way, with one rule, which was that I wasn’t going to do a “The” title. All five of my previous novels are “The” titles and really it’s time to break the string. The thing about Ernest and Marty’s exile is that in many ways, for many years, it worked for them. They did have the privacy to sort out how they felt about each other outside the glare of the press, for the most part. The place they created together—the Finca Vigía—is beautiful. And they were a beautiful couple, and beautiful writers. In the end and despite everything, I don’t think either of them ever loved anyone more. Their relationship was stormy, but I think their best work—for both of them—came out of their years together. 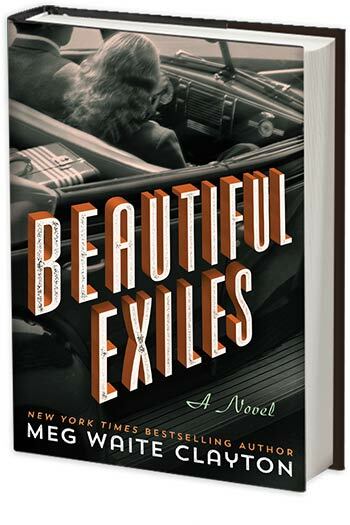 So “beautiful”—I liked the double meaning: they are beautiful exiles, and their exile together allowed them to write beautifully, the kind of writing that they both wanted more than anything else. The state of journalism today, and especially the importance of reporting the truth. And the backward steps we seem to be taking in terms of women’s rights. Why? I care about the future, and am sick as hell about where we seem to be headed. “What’s next?” It seems to be a question everyone asks … but I no longer say for fear of jinxing myself! THAT is one thing that haunts me, that I will somehow jinx myself or wake up or whatever, and this lovely dream life I have, spending my days writing books and hearing from readers who are moved by the stories I write, will be gone somehow. 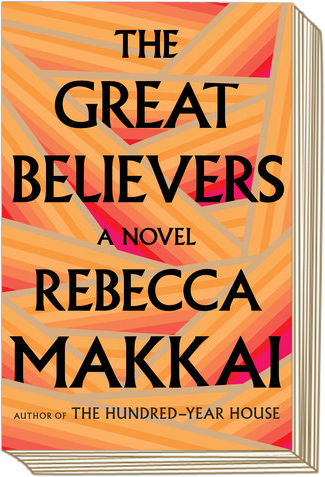 Rebecca Makkai talks about her brilliant new novel, THE GREAT BELIEVERS, the Paris art world of the 1920s, the AIDS crisis, healthy terror, and why you should drink a Beauty Spot while reading her novel. First, take a gander at just some of the raves. 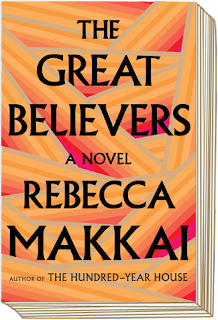 Rebecca Makkai is the author of the short story collection Music for Wartime, wand of the novels The Hundred-Year House, winner of the Chicago Writers Association award, and The Borrower, a Booklist Top Ten Debut which has been translated into eight languages. 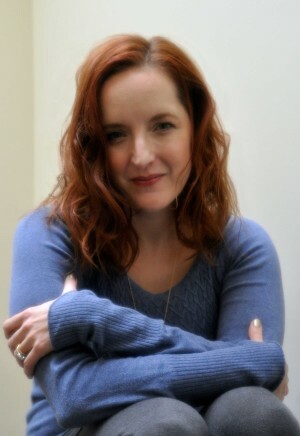 She's also the recipient of a 2014 NEA fellowship. Thank you so much, Rebecca for being here! I always want to know what the “why now” moment is for an author in writing a novel. What was haunting you and propelling you to write? When I started, I really just wanted to write about the Paris art world of the 1920s. It felt romantic and tragic. As I planned, though, that stuff turned into a subplot and the book became about the AIDS epidemic in Chicago in the 1980s. The research I did, especially the interviews I conducted and the photos I found, became my motivation. So much about what I learned made me angry and broke my heart, and those are great reasons to write. I first came to NYC during the AIDS crisis of the 80s. I remember the silence=death icons all over the sidewalk and the horror of friends dying. What was your research like? I’m a bit too young to remember the height of the crisis personally, and didn’t want to rely on secondary sources, so I did a lot of primary source reading (gay weeklies on archive from the ‘80s, online personal accounts) and a ton of in-person interviews. I interviewed survivors, doctors, nurses, journalists, historians, activists, lawyers, basically everyone who was willing to talk to me. And then, after I’d written the book, I gave it to three of those people to read—people who I knew would call me on every little thing that felt even slightly off. I was terrified of getting things wrong, both factually and emotionally, and I think that terror was healthy for me. I’m always interested in process, which is almost always different for every writer. What was it like for you? Did you find that you had learned lessons from writing The Hundred-Year House that you were using in The Great Believers, or was it like writing everything from scratch? Both my last novel and this one are densely populated, and I figured out only late into drafting The Hundred-Year House that I needed to combine several characters for clarity and economy (as well as depth of character). I realized it much earlier this time, and made myself a character map in which it became clear that I had a lot of redundancies. Or sometimes I’d have characters hanging out in entirely different corners of the map (someone from 1985 Chicago and someone from 2015 Paris) and realize they could be the same person, thirty years apart. Although so much of this incredible novel is steeped in death, it feels more life-affirming than any other novel this year. Can you talk about this please? I have a doggedly optimistic worldview, even when I absolutely know better. My default mode is hopeful. And I think that both of my point of view characters share that, even in the face of so much awfulness and despair. I found my title very early—before I’d written a word of the book, in fact—and knew I needed it. It’s from an F. Scott Fitzgerald quote about the Lost Generation, one I use as an epigraph. In many ways, I wrote to the title, forcing myself to ask what my characters believe in, against the odds. Besides our awful border policies… I’ll choose to interpret “obsessing” in a good way, like what am I really interested in right now. I’m thinking a lot about Golden Age Hollywood (behind the scenes stuff, not the movies themselves), and I’m thinking a lot about true crime. 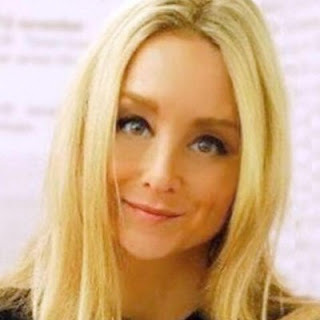 The murder of Martha Moxley, and another unsolved backyard murder that a friend told me about in Shaker Heights, Ohio. 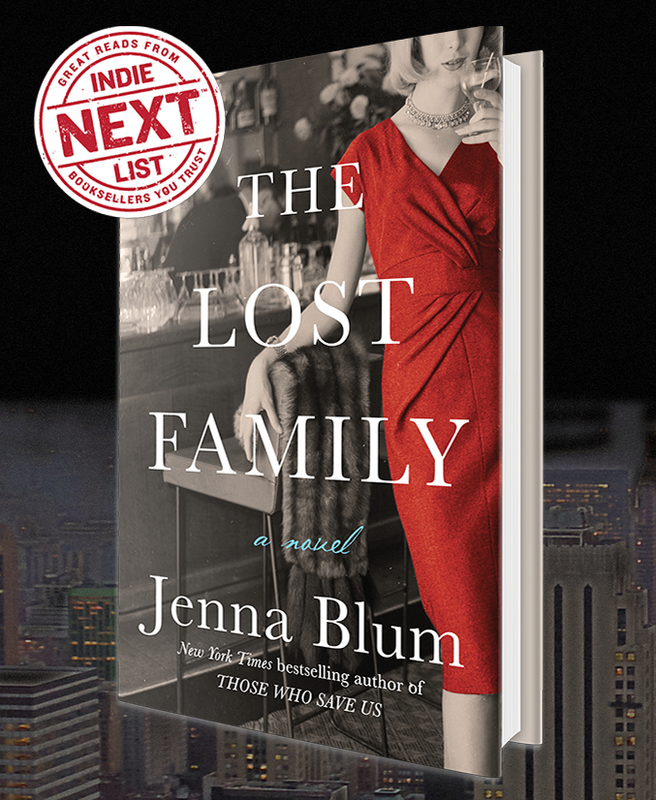 I’ve been listening to a lot of true crime podcasts, which is maybe not great for me psychologically, but it’s been a good distraction as my book is coming out. You should ask what cocktail people should drink when they read my book. And the answer is they should drink a beauty spot, which is really pretty and delicious, and I think it matches the cover a bit.